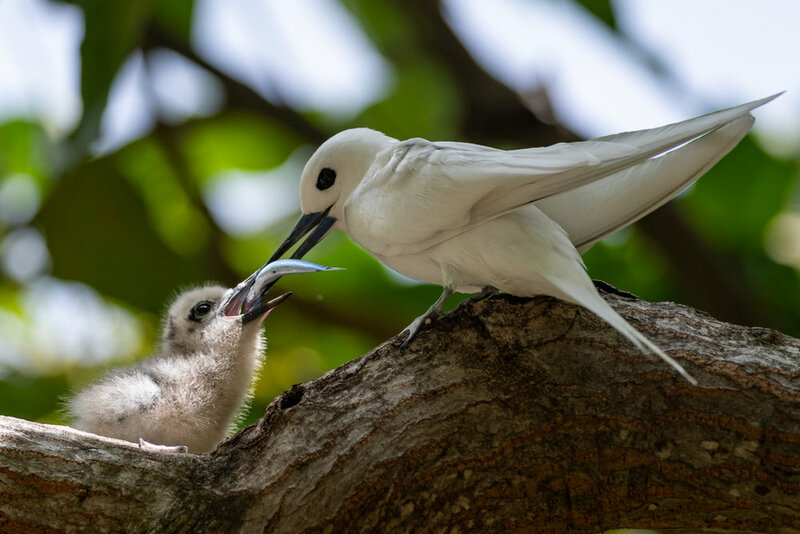 This will be a blog post with little text but many pictures about the white terns living in Honolulu, Hawai’i. This is a truly unique and wonderful situation where a seabird species adapted to living and thriving in a very urban environment. Not only is this rare for seabird species in general though an upcoming trend (thinking of the oystercatchers that are conquering European cities) but also for white terns in particular. 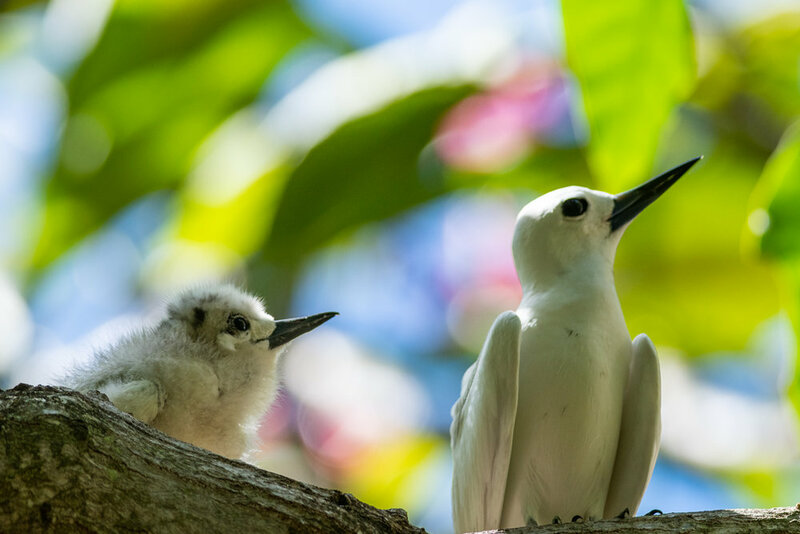 Most populations of these white fairy-like birds breed rather remotely on small islands in the open ocean similar to Hawai’i. What is most stunning about them however is how they actually breed on the bare branches of the trees without even building a nest. The single egg is placed in the cup of a cut-off branch or a fork. 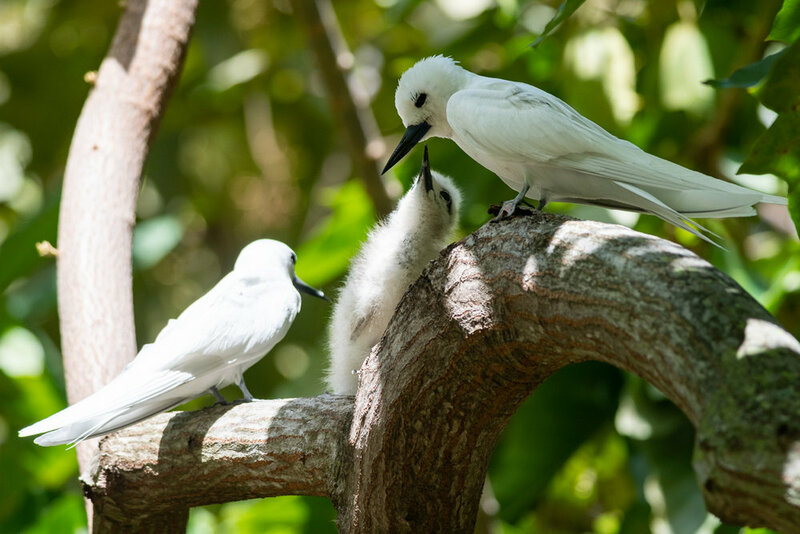 The chicks have specially adapted feet with long claws, enabling them to hang on to the bark until they can fly away. All the while, the parents are busy flying out to sea to catch fish and bringing it back to feed their offspring. 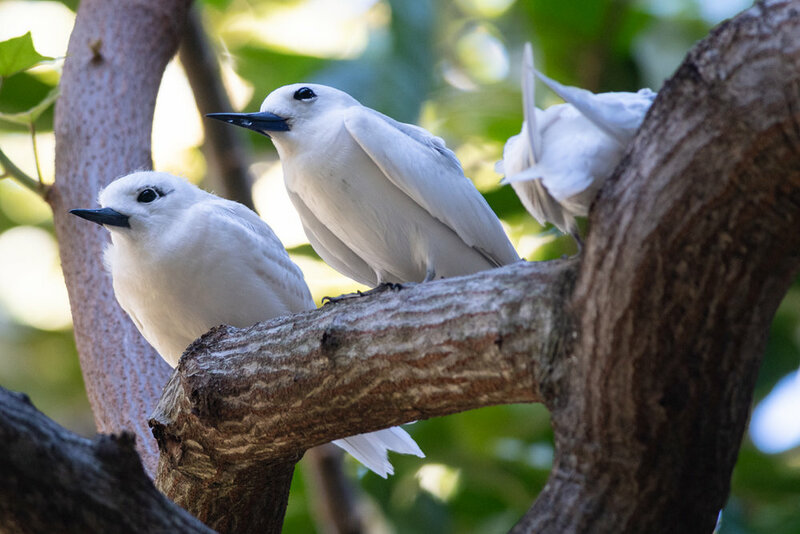 The terns can be found breeding in trees all over Honolulu and in particular right in front of the Marine Science Building of the University where I am working. 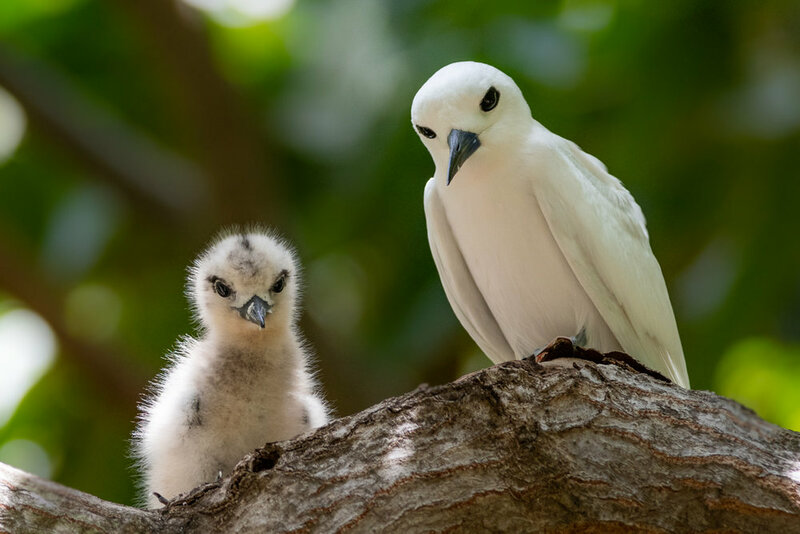 This allowed me to follow one of the nests from hatching to fledging and observe and photograph the young tern you see below (I call it Gretel) growing up. This was a unique opportunity and magical experience for me! Shouting at the photographer from the safety of mom’s plumage. At 6 days old, it has grown significantly already. The feathers are still too soft but the urge to fly is too great not to try at least. As the parents are busy catching food, the family is rarely seen together like this. And the wings are ready for the first attempts at flying to the surrounding branches. The parent returns with fish to an empty nest. But flying is exhausting so the young one returns so to get a snack. 6 weeks - the young tern still has some downs and sticks around the nesting place but already practices flying around the yard. After 9 weeks, Gretel has become almost indistinguishable from her parents and will soon be able to catch her own food.